EGG helmets are innovative, highly customizable multi-sport helmets for kids between the ages of 1 and 12. The helmet can be personalized with skins (printed elastane fabric helmet covers) and add-ons (rubber snap-on accessories). The patented flexible multi-impact inner core (EPP) brings optimal fit and safety. It has excellent shock absorbing capabilities after impact. The multi impact design and customization system makes safety comfortable, fun and unique. The "closed" ear model is designed to protect the ears and upper neck during impact. It gives the helmet not only a retro look but also protects the dangerous part of your head. 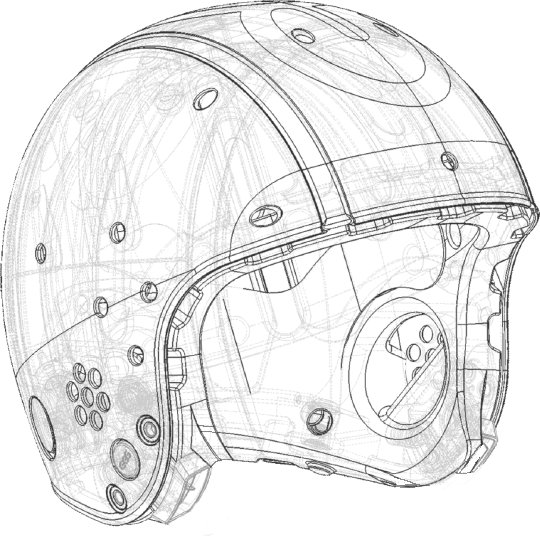 The flexible helmet system is designed, engineered and produced in the Netherlands. EGG helmets excel in safety as they comply with all safety standards for street and snow sports e.g. ; skiing, snowboarding, cycling, skating, skateboarding and BMX).